We at Miles of Smiles, are committed to providing you with a beneficial dental visit. We want you to understand your options and provide you with information and treatment plans to keep your mouth and teeth healthy. That is why we are dedicated to providing you with thorough exams by evaluating the health of your teeth and gums, performing oral cancer screenings and Vizilite, and taking digital, low-dose x-rays when necessary. We strive to provide the utmost in personal care and to deliver positive lasting results. To give you the best possible service and results, we are commited to continual education and learning. We attend dental lectures, meetings, and dental conventions to stay up-to-date of the latest technologies and products. We are members of various professional dental associations (AGD, NJDA) that helps us to stay informed of the changes and recommendations. We offer a warm and kind disposition that is appreciated by children and adults of all ages. 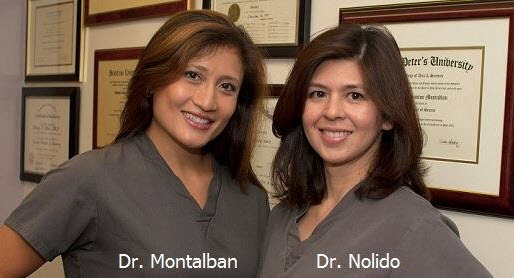 We look forward to working as a team with you and plan a strategy to a healthier mouth. Composite Fillings: Composite Fillings are tooth-colored dental fillings that are designed to be indistinguishable from your natural teeth. They provide good durability and resistance to fractures on the teeth that need to withstand the constant stress of chewing. Many people prefer composite over amalgam fillings because the latter is a metal filling that can be noticeable depending on the visibility of the tooth. Dental Bridge: A Dental Bridge is a prosthesis that can permanently bridge the gap between one or more missing teeth. It is a series of crowns placed to provide the patient with a complete smile. Crown: A Crown is a form of dental restoration where a tooth-shaped cap is placed over a tooth with a large cavity to protect it from any further health concerns. Crowns are generally made of gold and are bonded to the tooth using dental cement. Night Guard: A Night Guard is a device used to prevent you from grinding your teeth while you sleep. Bruxism is a common problem and can lead to damage on the surface of your teeth, migraines as well as the painful popping or aching in your jaw known as TMJ. Denture: A Denture is a prosthetic device constructed to replace missing teeth. Dentures are a removable plate or frame with one or more artificial teeth held in place by the oral cavity.